A Tussie-Mussie is Good for You! If you don’t know what a Tussie-Mussie is let me enlighten you! 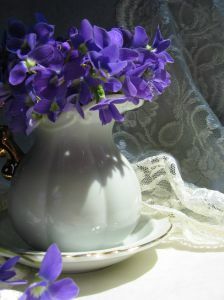 A Tussie-Mussie is a small bouquet, and bouquets of flowers, small, large or simply hand picked are really good for you! As times progressed it seems the composition of flowers and herbs were used to give specific messages. In Victorian times would be suitors gave the objects of their affection a Tussie-Mussie filled with flowers and herbs ripe with symbolism. Most young women would either know, (or possess a book that told them), the various meanings of the flowers. Some plants have kept their symbolic meanings through the years. 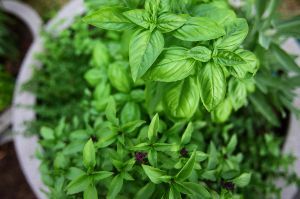 These include rosemary for Remembrance; ivy for Fidelity; lilies for Purity; laurel for Victory; parsley for Festivity; and rose for Love. Additional meanings include: artemesia for Dignity; basil for Best Wishes; Calla lily for Panache; red geranium for Comfort and Health; hydrangea for Devotion; sage for Wisdom; pine for Loyalty and Longevity. However, research has shown that our love of flowers goes deeper than just symbolism. The research into the impact of flowers on our emotions was carried out at the State University of New Jersey. 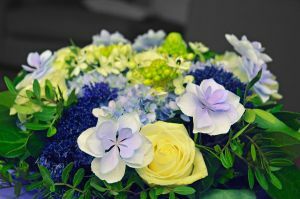 A team of researchers explored the link between flowers and life satisfaction in a 10-month study of participants’ behavioural and emotional responses to receiving flowers. The results show that flowers are a natural and healthful moderator of moods. I have never needed an excuse to have flowers in the house; it is an extravagence of mine but now I know why! They make me feel happy and generous and good! Research says so! Go on, take someone some flowers today, and don’t forget to have some for yourself. Put a bunch on your desk today!